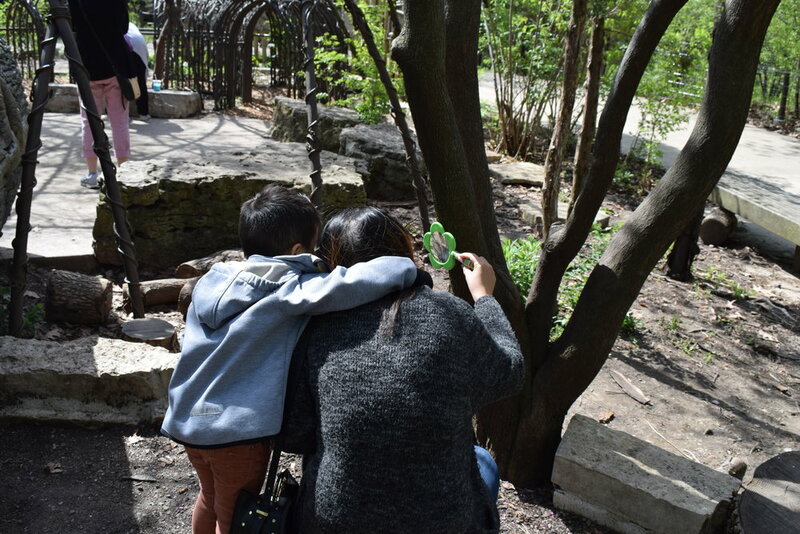 We want to thank you all for attending LEAP at Lincoln Park Zoo these past nine weeks and to share some of our favorite moments. We’ve had so much fun and we hope you have too! We hope you continue to incorporate nature play into your regular routine outside of LEAP. Summertime is one of the best times to get outside and play, play, play! Dig in the dirt, climb a tree, listen for birds and don’t forget to get a little messy! 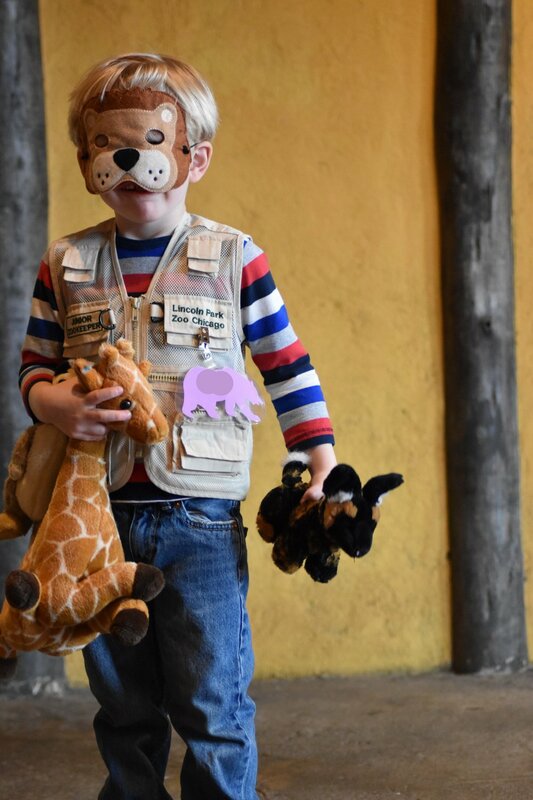 Join our Play Assistants for hands-on nature play activities at the Farm-in-the-Zoo! 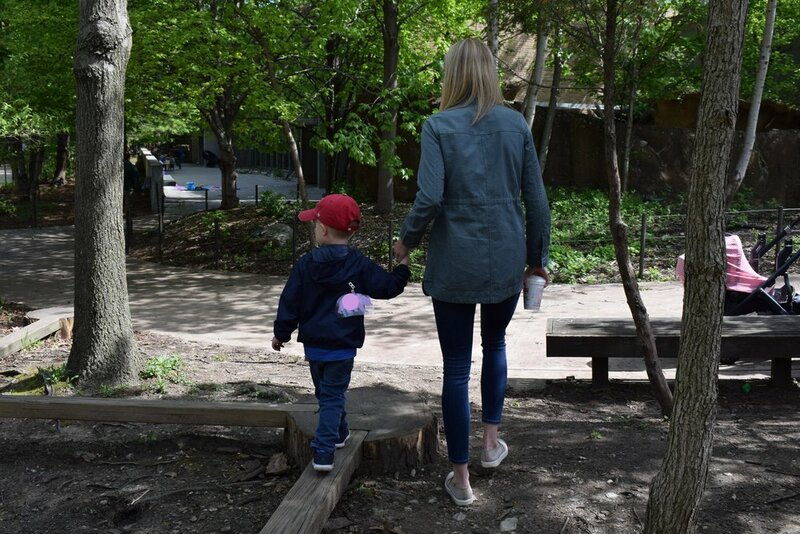 From sorting pine cones to digging in smooth seeds, 1-5 year olds and their caregivers can explore the sights, smells and textures that nature has to offer in a free, open-ended experience. 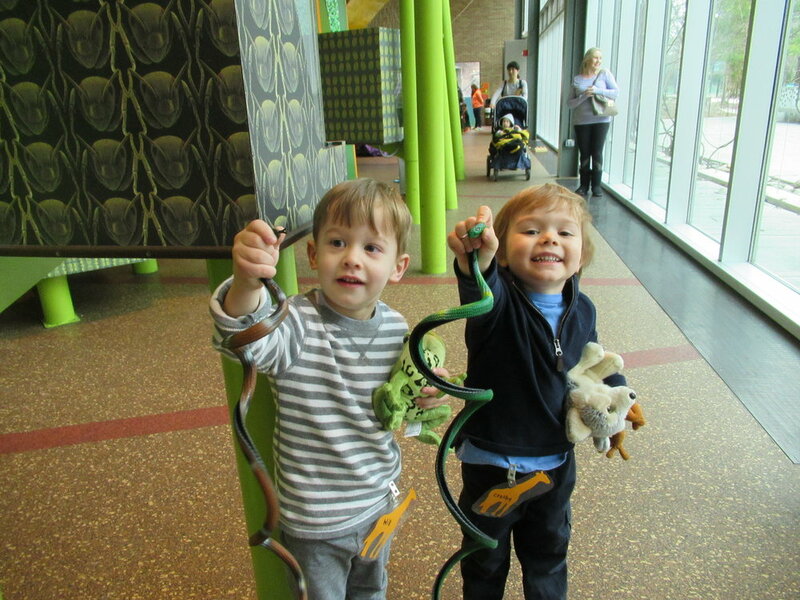 Take in a tall tale at story time, get messy at the process art station, and sift and scoop at the sensory bin. 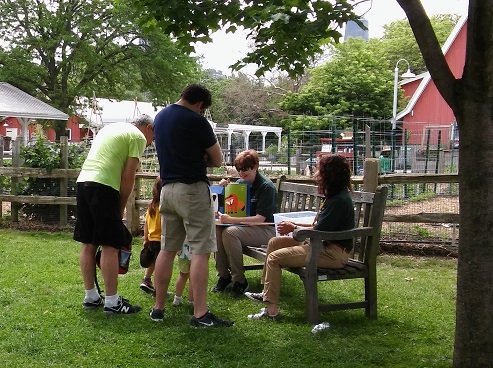 On Saturdays you can also find us at Wild Sapling Play Forest located at Pritzker Family Children’s Zoo for some extra outdoor nature play fun! Meet us at Wild Sapling Play Forest for a muddy celebration! We think every kid deserves a chance to play in the mud. Come prepared to get dirty and to have lots of fun in the process! We’ll have supplies to dig in the dirt, make muddy handprints and jump in puddles. Don’t forget a change of clothes for the ride home! 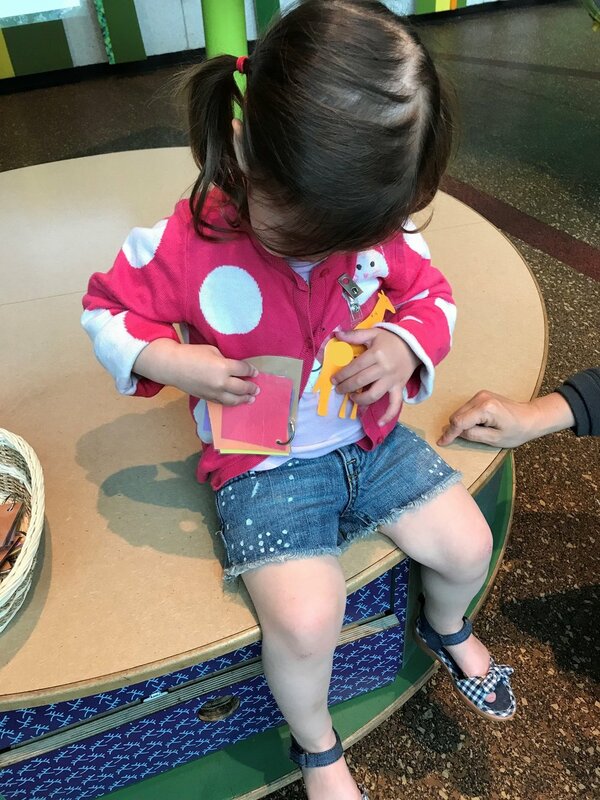 Toddlers ages 2–5 and adults practice fun animal yoga poses and engage in activities such as sing-alongs, reading a storybook, and sensory play. We have a limited number of child-sized yoga mats available for use on a first come, first served basis. Registration is required for each adult. Every two children must be accompanied by one adult and adults are required to participate with their child(ren). Takes place at People’s Gas Pavilion at Nature Boardwalk.